Assemble a part of brave warriors and embark on epic quests. Defeat fearsome enemies that lie in the dungeons to get your hands on some really epic loot. 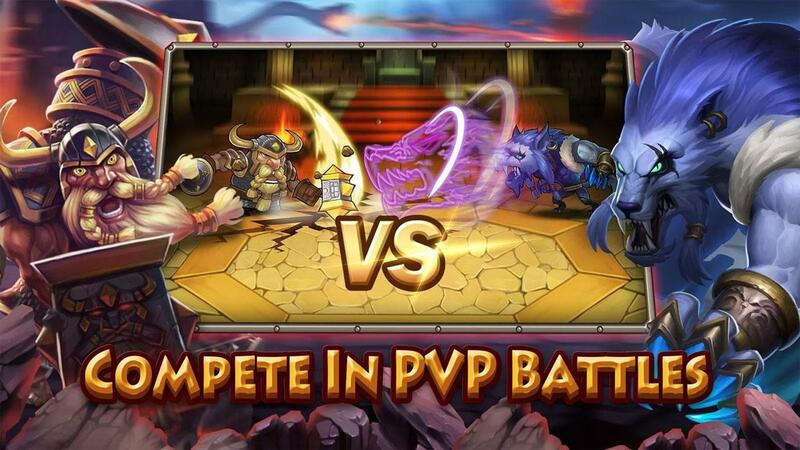 Take on other players from around the world in the PvP arena to show your skills. Soul Hunters is a really addicting strategy game in which players get the opportunity to control parties of brave heroes through creepy dungeons or massive fields full of evil creatures. It’s pretty high quality because the gameplay is quite enjoyable and the distinct art-style makes for a really pleasing experience in terms of visuals. There are a lot of things to do in Soul Hunters so it can get a bit overwhelming to new players who are just starting off in the game but thankfully, this is taken care of with a really well designed, step-by-step tutorial that does a phenomenal job of explaining all the basics within a matter of a few minutes. The tutorial will cover each and every crucial aspect ranging from assembling parties to equipping your heroes for combat. 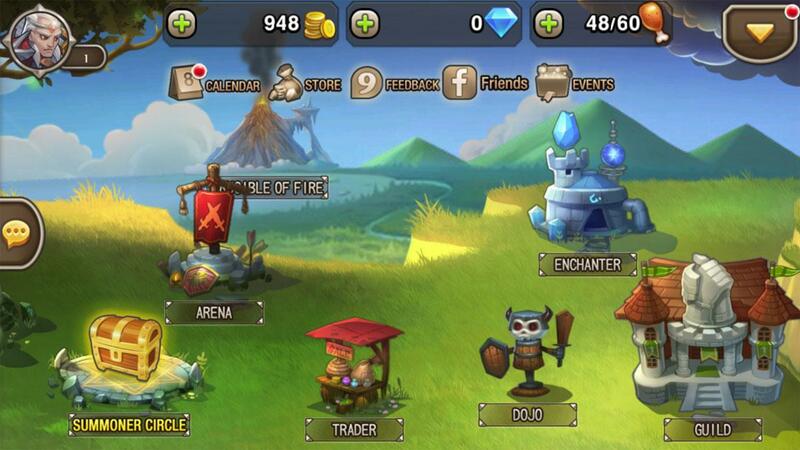 The gameplay of Soul Hunters is full of things that can get players hooked for hours upon hours. The combat is pretty innovative because it’s simple yet elegant. 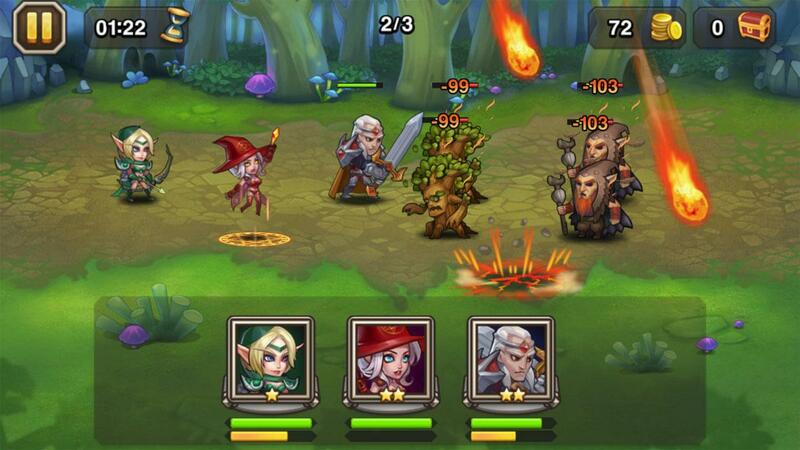 Before entering any fighting instance you’ll have to choose a party of up to five heroes. Afterwards, during the instance these heroes will control themselves mostly but you’ll be given complete control over all their special abilities. This allows players to properly assess a fight scenario before utilizing their spells and such which leads to a lot more strategic gameplay than usual. Party composition is also a pretty big factor in the gameplay and adds a whole lot of depth because it allows players to utilize their creative side to put together teams that can strive through any scenario thrown at them. Utimate abilities are a noteworthy mention as well. Basically each hero in the game has an ultimate ability that can be utilized when the power bar becomes full. This ability can turn the tide of a lost fight if utilized properly and some abilities of different heroes actually synergize quite nicely with each other so using them at the same time can be devastating. Going into the visuals, it’s safe to say that Soul Hunters is an absolutely beautiful game. The main highlight of the game’s look has to be its unique art style that’s been executed to a point near perfection. All heroes have a distinct design and each dungeon consists of an incredible amount of detail. The color palette is pretty much perfect and battles are a delight to look at with all the special effects going off wherever you look. As for micro-transactions, Soul Hunters allows players to get their hands on special in-game chests by utilizing real world money. These chests contain heroes and can often yield some pretty strong ones to aid in battle. Soul Hunters is a great looking game with delightful gameplay and is perhaps one of the highest quality on-the-go experiences you can get your hands on.